Fixing nails for use with bitumen corrugated roofing sheets such as the ones sold by ourselves, but also compatible with the Coroline & Onduline branded sheets. 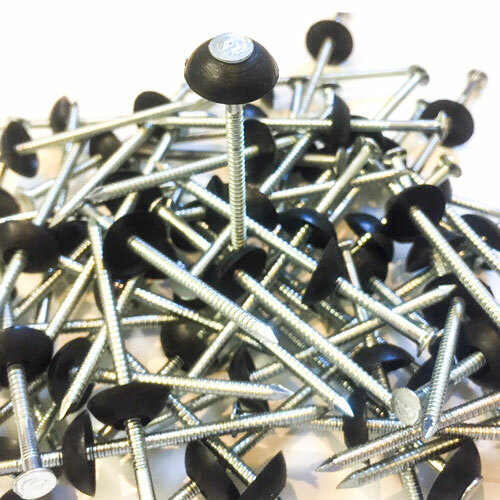 Nails are supplied boxed and each fixing consist of a 2.8mm X 70mm Galvanised countersunk nails with a waterproof PE sealing washer. Fixing instructions are supplied with each box of nails. Also available in packs of 50 for smaller projects.